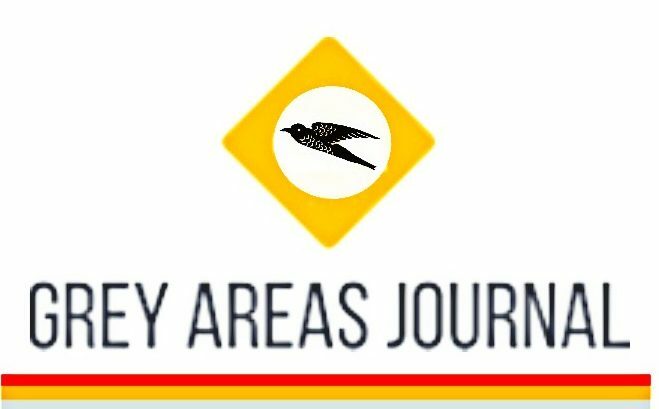 Grey Areas is an E-Journal platform created to feature and celebrate intellectual perspectives. Grey Areas is about people. It is about creatives. Creatives of all walks of lifes, ethnicities and cultures. It is a platform created to feature a diversity of perspectives from specialists, professionals to ordinary people. What is the leading concept? The leading concept for Grey Areas is about standing in one’s Grey Area, an area where many subjects, perspectives and topics meet. A place of exchange, knowledge, rehabilitation and growth. Grey Areas as a concept also encourages its readers to challenge their beliefs and embrace a new empowering perspective in order to connect with the world around them. Why was Grey Areas created? Grey Areas is topically diverse, diversity reflected in its target audience. We target readers interested in entrepreneurship, art, spirituality and many more. We target the ‘explorers’ of this world. What genre is the E-Journal? Grey Areas is eclectic in nature. The Journal has been created to reflect a diversity of contributors and the subjects that are important to them. We are therefore a journal concept that features an array of different subjects so long as they add value to your perspective and intellect. Some of the regular column include: Focus on Art (art critic), Focus on Energy, Rehabilitation (exploring social wellbeing and consciouness), A Cup of Poetry (featuring poetry and thoughts), Writer’s Corner (a special feature for Authors) , Focus on Faith (exploring the multitude in religious/ faith ideologies), Entrepreneur and Innovation, Economy, Community Focus. New columns are being added every issue to provide you with the best reading experience. Is Grey Areas a journal or magazine? Grey Areas is a cross between a journal and magazine. It features a diversity of topics written mostly written from the perspective of handpicked specialists and professionals. It is both an educational but informative publication. It combines both dynamics. We endeavour to present Grey Areas as a journal and create content that will be seen as relevant beyond the issue’s life cycle. We are aiming to make Grey Areas a magazine of reference for specialist topics and perspectives. How can I submit my article? Where can I find Grey Areas online?